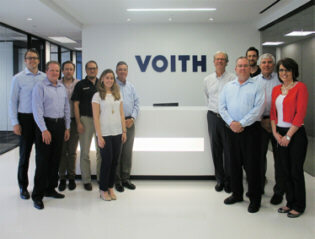 June 23, 2015 + + + Voith Turbo, a specialist for intelligent drive systems and solutions in the oil and gas sector, announced the opening of the company’s new Houston, Texas headquarters for the Power, Oil & Gas Division for the region Americas. Located in the heart of Houston’s Energy Corridor, the new office furthers Voith Turbo’s commitment to expanding its presence and supporting its oil and gas customers. The new Houston location includes a business development and R&D center focused on problem solving and product development. Voith Turbo invests approximately five percent of its total annual revenue in research and development. Voith Turbo, a Group Division of Voith GmbH, is a specialist for intelligent drive solutions and systems. Customers from highly diverse industries such as oil and gas, energy, mining and metal processing, mechanical engineering, ship technology, rail and commercial vehicles rely on advanced technologies from Voith Turbo. Voith sets the standards in the markets energy, oil & gas, paper, raw materials, and transportation & automotive. Founded in 1867, Voith employs more than 39,000 people, generates €5.3 billion in sales, operates in about 50 countries around the world and is today one of the largest family-owned companies in Europe.